Dr. Ron Taffel is considered one of the most electric and practical child-rearing experts in the country – and one of the most sought-after public speakers nationwide. During the past few years as Chair of a major not-for-profit agency that provided extensive, post September 11th relief services, Dr. Taffel significantly cut back on public speaking. As these relief efforts wound down, Dr. Taffel resumed his parenting and professional workshops and after the publication to critical acclaim of his latest book Childhood Unbound: Authoritative Parenting for the 21st Century. He is now scheduling appearances into 2015. 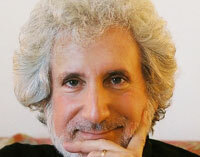 His works have been hailed by such widely noted authorities as Mary Pipher, Michael Thompson, Rosalind Wiseman, Maria Shriver, Michael Gurian, James Garbarino, Terrance Real, Robert Brooks, Ruth Peters, Lee Salk, Alvin Poussaint, Arlie Hochschild, Marlo Thomas, and Letty Cottin Pogrebin. He has been called “a Spock for our time” (New Woman) and “a genius addressing all the issues of family life” (Child). The one thousand consultations and workshops in 25 states across the country and vast media reach that Ron has developed during the past two decades is extensive. These include (only a partial list is offered here) his connection as a guest and consultant to producers on The Today Show, The Early Morning Today Show, The Weekend Today Show, Good Morning America, The CBS Morning Show, Dateline, 20/20, Primetime Live and The Larry King Show. Hundreds of radio and Online appearances and connections include NPR in many states, The Bobby Conners Show, Mothersonline, Parents Magazine Online. Connections at magazines include Parents Magazine, Working Mother, Child Magazine, Nick Jr. Magazine, Family Circle, Cosmopolitan, etc. Ron’s organizational consultations and workshops are equally developed. A very partial list includes: The American Psychological Association, The United Federation of Teachers, The Association of Independent Schools, The Psychotherapy Networker, The 92nd St. “Y,” The J.C.C. of Manhattan, The American Camping Association, All Soul’s Church, The Children’s Hospital of New Orleans, St. David’s Hospital in Minneapolis, The Parents’ Papers in Boston and San Francisco, The University of Maryland School of Social Work, The Children’s Hospital of Providence, R.I., Beech Acres Hospital. “Kids Are Worth It!” Cincinnati, Ohio, The Family Therapy Institute of Santa Barbara, Cal., Christ Episcopal Church in Ponte Vedra, Florida, etc. Locally, Ron has done workshops at almost every private and numerous public schools in Manhattan, as well as dozens of nursery and pre-schools in the tri-state area. He is also deeply connected to the not-for-profit sector and parents’ activist groups throughout the city, state and country. Requests for major talks come in at a continuous clip. Countless people nationwide have heard Dr. Taffel in person. As keynote speaker at conferences, Ron has given over 1000 consultations and talks during the last twenty years to groups of a few hundred to several thousand. Dr. Taffel’s popularity is due in no small measure to his “information-inspiration” message. Ron’s lectures create an exuberance not usually associated with parenting lectures, and in response, The New York Times, as well as 20/20 and Dateline have covered his workshops. Professionals also appreciate Dr. Taffel’s seminars. At the annual Psycotherapy Networker conference, a gathering of four thousand in the field, his lectures regularly fill Grand Ballroom-size meeting halls. Five of his workshop tapes have been among the top twelve all-time best sellers – a significant accomplishment given the thousands of presentations recorded at this event. Dr. Taffel is the author of five popular and two professional books, one hundred magazine columns and dozens of articles for professional journals. His books have been translated into a half dozen languages with approximately twenty editions of his titles. Virtually every issue Ron covered in Parenting by Heart, When Parents Disagree, Nurturing Good Children Now and The Second Family have since become part of the national discourse on child rearing. Several years ago, after authoring The Confident Parent column in McCall’s Magazine for six years, Dr.Taffel began writing in Parents Magazine, contributing an award-winning column entitled, “Family Life,” which enlarged his scope to include relationship issues as well as parenting. His columns were immensely popular and applauded for their boldness. “How to Protect Your Child From Madonna” was cited by USA Today as “perhaps the single best magazine article of 1993.” The column almost always garnered media attention because of Taffel’s uncanny ability to forecast national trends: “Is There Too Much Violence on TV” hit the newsstands precisely when Congress debated the V chip; “Are You Raising an X-Rated Child?” coincided with the week of the Calvin Klein ad controversy. Several of these subjects were aired on TV news magazines as well, with Taffel appearing as expert (see below). Many more features garnered wide-spread attention as his uncanny timing became known in the child world: for example, the hidden stressors on children and families, sports pressure, the importance of religion in a modern world, the myth of quality time, etc. This established a pattern that regularly triggered the media to use his writing as the bases for special segments. Dr. Taffel has been approached by a number of corporate entities who want to tap his expertise. TJ Maxx, hired him to create a booklet on family togetherness while shopping, of which hundreds of thousands were distributed in stores throughout the country. In addition, Dr. Taffel acted as a consultant to the Children’s Television Workshop in the development of their “How To Raise a Responsible Child” series; and to Lindsay Knight, an independent produce for the BBC who created Forty-Something, which won Britain’s equivalent of an Emmy. He has helped produce and is featured in a Work Family Direction audio-tape entitled “Strengthening Your Relationship When You Both Work.” This was distributed to thousands of corporate workers and executives. Dr. Taffel has also consulted to Employees Assistance Program directors and numerous corporations including HBO, Time Warner, Pfizer and Conde Nast. Ron Taffel earned a doctoratein clinical psychology at New York University, did post-graduate work in family therapy, child development and adult psychology – studying at the Philadelphia Child Guidance Clinic and Family Institute of Westchester among others. He did an internship at Albert Einstein Medical Center and, upon completion in 1976, became the first psychologist to become Director of Treatment at the Child and Adolescent Treatment Division of Downstate Medical Center, where he remained until 1979, when he established a private practice in Manhattan. Dr. Taffel founded the Family Therapy Division at the Institute for Contemporary Psychotherapy in New York City. In 1999, Taffel was appointed Chairman of the Board of Directors of the Institute as a whole, an agency that serves over 500 clients a week with a faculty and staff of over three hundred professionals. He has continued serving as Chair until the present. Ron lives in NYC with his wife, Stacey, and their two children, Leah and Sam.